Wedding photos are a fantastic experience for any photographer. Unfortunately, it can also be challenging to get your wedding images just right. Even if you manage to take some of the most incredible shots you’ve ever captured, it could still help to tweak your images slightly with a contrast change, or a filter. Fortunately, there’s an easy way to upgrade your images instantly: Lightroom presets for weddings. These can help you make the most of every image with a perfectly-chosen combination of contrast, depth, saturation, and brightness. 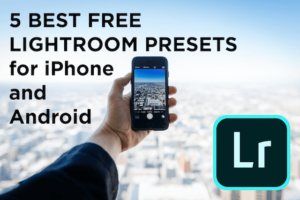 So, which are the best Lightroom presets for weddings? The best lightroom presets for weddings. Where you can find each preset. What you should use each preset for. The Vows package is a full set of Lightroom presets, designed to help you convey your client’s special day. The pack contains thirty versatile filters to choose from, ideal for almost any theme you’re going for. If you’re looking for Hollywood glamor, fairytale, or something else entirely, you’re sure to find it in the “Vows” preset. What’s more, you can adjust your sliders if you want a specific look. Another collection of Lightroom presets specifically designed for wedding photography, this unique package includes a range of options for any wedding event. If you want a nostalgic look, there’s a great filter included which adds a very soft sepia tone to your images. Alternatively, you can simply use the HDR mode to add a greater degree of sharpness and clarity to those all-important images. If you’re looking for a set of great Lightroom presets with a soft, romantic feel, then you can’t go wrong with the “Wedding Day” pack. This delightful pack adds an almost pink tone to your images, while adding depth to the saturation in your colors for photos that truly come to life. If you’re a wedding photographer who loves images with vibrancy, then you’re sure to adore this wedding preset. It’s particularly good for picking up details on complex wedding dresses and veils. Have you ever snapped a stunning image of a bride, then discovered later that her beautiful white dress looks grey in the dull lighting of the day? You can’t always rely on the lighting to be on your side as a wedding photographer, particularly if you’re taking some of your images outside. Fortunately, the Weddings Look preset can help. This simple pack of two presets adds extra brightness and exposure to your photos, while increasing contrast, warmth, and sharpening too. You can also add a soft vignette tone to your images if you want a wistful, dreamy image. The best Lightroom presets for weddings don’t necessarily have to be made specifically for that “big day” event. Sometimes, all you need is a set of presets that will help your leading man and lady shine on film. The Soft Wash Film Lead set can deliver that, giving your images an old-movie look with a softened background and a deep contrast filter. If you want your subjects to really capture all the attention in a photo, this is the preset for you. There’s something wonderfully romantic about the old wedding photos that your grandparents share with you. The sepia tone of the images really makes them come to life. Fortunately, you don’t have to go back to the fifties to get the same effect for your clients. With the Vintage Wedding Lightroom presets, you can revive your photos with a soft golden hue that removes some of the saturation in your pictures and replaces it with old-time nostalgia. This is great for those simple portrait images of the bride and groom. Finally, if you’re just looking for a set of Lightroom presets to add a touch of extra contrast and drama to your images, then “Mad Dash” is the pack you’re looking for. The filter gives incredible depth to photos by slightly dulling down the saturation and pulling more focus to the human subjects in an image. If you’re looking for an incredibly emotional and unforgettable image, Mad Dash could be the right preset for you. Those are our favorite Lightroom presets for weddings. Let us know if we’ve missed any in the comments below and follow us on Facebook or Twitter for more inspiration for your wedding images!